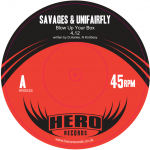 Hero Records return after their last offering from Hero No.7 and Mash & Munkee this time slowing the pace for a downtempo funky hip hop double-sider from Savages & Unifairfly. 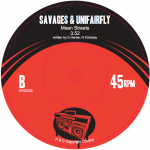 Savages aka Nándor Kürtössy from Hungary is a 28 year old producer who released his debut album “Five Finger Discount” on Chameleon Records in late 2008 to great response from all over the globe. 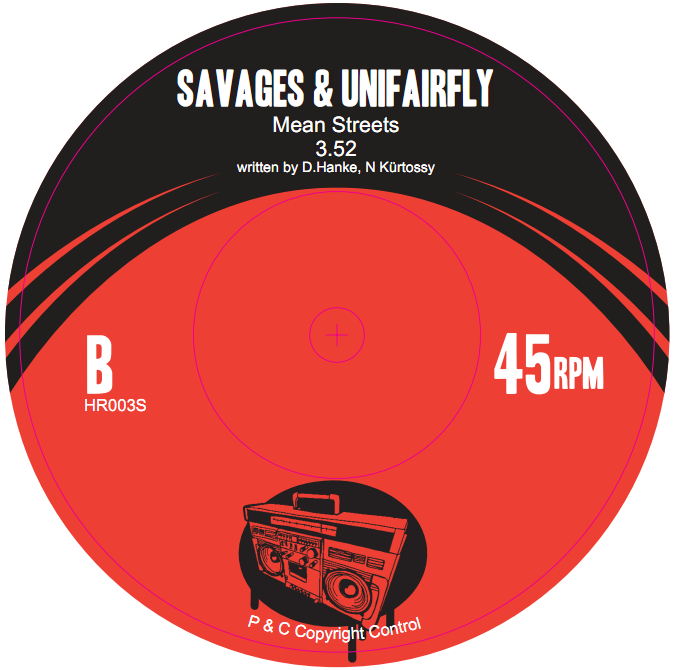 Unifairfly aka David Hanke is a 32 year old producer from Germany who started out with a local radio show and then begun to produce hip hop-flavoured funk tunes as one half of Mash & Munkee and dancefloor jazz tracks under his other solo moniker Renegades of Jazz on Smoove’s Wass Records). After getting in touch for a remix, Nándor and David discovered similar tastes for producing funk, soul and jazz influenced hip hop tunes and a shared love for the sound of labels like Puma Strut, 7 Hills and Breakin’ Bread which in turn lead to the duo collaborating on the pair of deep down and dirty funk tracks you’ll find on this release. 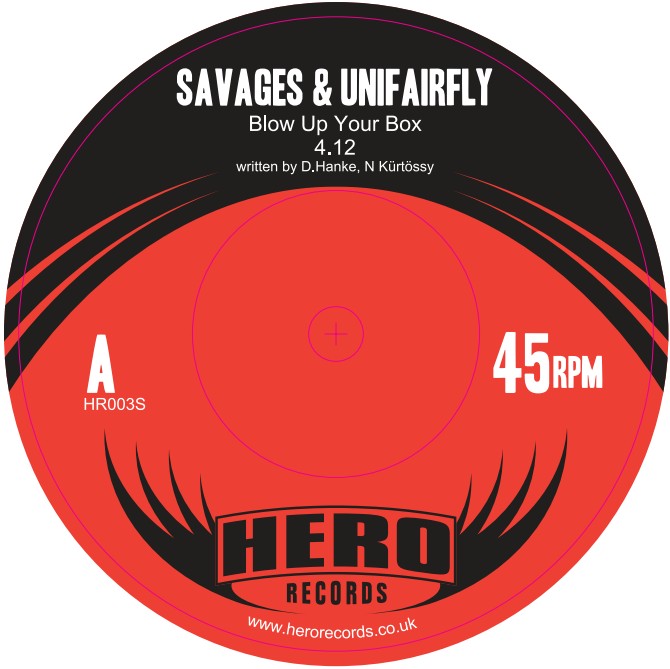 The a-side “Blow Up Your Box” features funky bass and drums breaks and catchy hip hop vocal samples and is dedicated to all B-Boys and B-Girls. The flipside track “Mean Streets” is a funk-filled cinematic, gangster hip hop tune inspired by the film of the same name. Two tracks of funk for your feet that will appeal to lovers of funk, hip hop and breaks who like to get down and dirty. HR003S is available via Kudos Distribution and Juno Download. Renegades of Jazz’s “Karabine” EP, “Cascade” b/w “Seaside Suicide” and “Get A Wiggle On” releases are out now on Wass Records.